NEW YORK – Sears said Thursday that revenue and a key sales figure plummeted in its most recent quarter as it closed stores, shut down pharmacies at some Kmart locations and lost shoppers to other retailers. But the struggling department store operator did have one bright spot: Its third-quarter loss narrowed from a year ago as it aggressively cut costs. That sent its shares up more than 4 percent Thursday. Sears has been cutting costs as it faces pension funding issues and lower sales. Competition from Home Depot, Amazon.com and other retailers has been prompting the company to sell brands and close stores as it loses ground in the market. In October, it cut Whirlpool-branded appliances from its operations, curtailing a business relationship that dates back more than 100 years. Sears said Thursday that part of its turnaround plan is to open smaller stores. In June, it opened its first Sears Appliances & Mattresses store in Pharr, Texas, which focuses on selling washing machines, microwaves or bedding. Two more were recently opened in Honolulu and Camp Hill, Pennsylvania, the company said. For drivers, it opened three DieHard Auto Centers in Texas and Michigan where customers can get an oil change or replace their tires. Sears Chief Financial Officer Robert Riecker said in a prerecorded call that the concepts were “successful” and that the company plans to open more of them. Still, sales at established stores, a key measure of a retailer’s health, plunged 15.3 percent during the third quarter. That’s more than double the decline it reported in the same period a year ago. The company reported a net loss of to $558 million, or $5.19 per share, in the three months ending Oct. 28. In the same period a year ago, it reported a loss of $748 million, or $6.99 per share. Revenue dropped 27 percent to $3.66 billion, with more than half of that decline coming from store and pharmacy closures, the company said. The retailer plans to close 63 stores, including 45 Kmart stores, by late January. Those closures are on top of 250 stores already announced in 2017. Sears said Thursday that it will continue to maintain “extreme cost discipline” going into the fourth quarter. 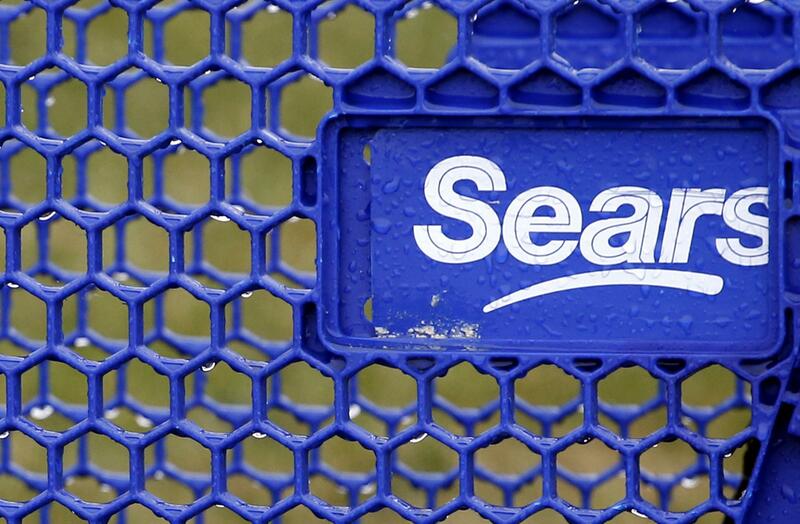 Shares of Sears Holdings Corp. rose 19 cents, or 4.4 percent, to $4.51 in trading Thursday. Its stock is still down about 50 percent so far this year. Published: Nov. 30, 2017, 8:37 a.m.